Page Parkes Model + Talent: Don't Forget to Sign Up for "Acting Outside the Box"! Don't Forget to Sign Up for "Acting Outside the Box"! 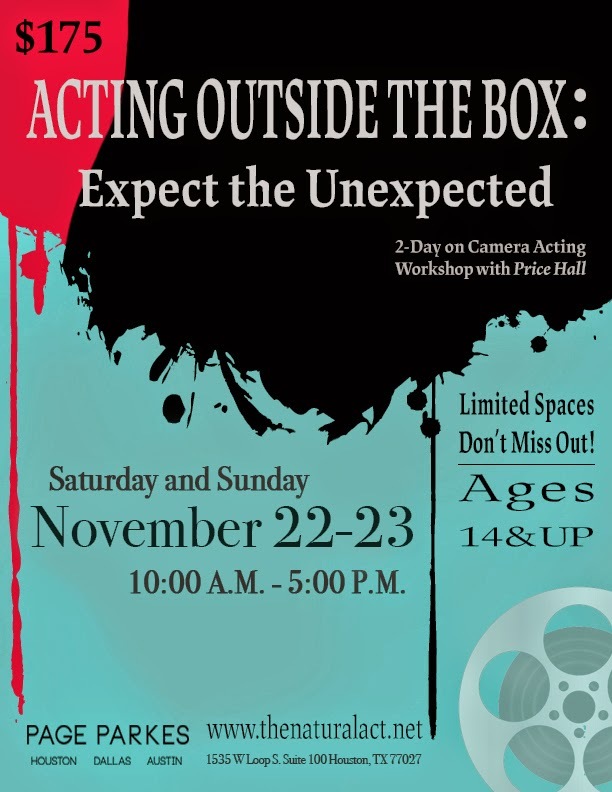 Don't forget to sign up for "Acting Outside the Box: Expect the Unexpected" if you haven't already! There is limited spacing to for the 2-day event on Camera Acting with Price Hall and casting director Kathy Brinker. We hope to see you this weekend!